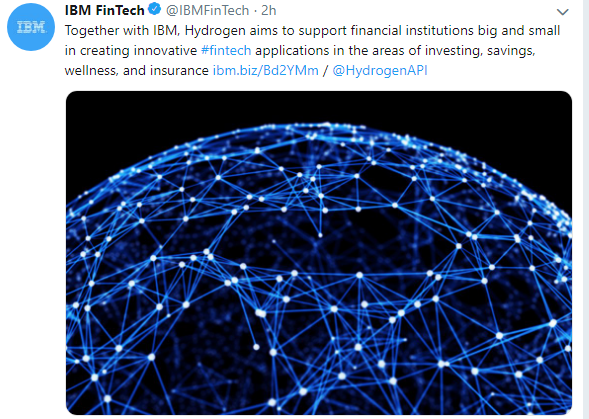 Recently top 10 tech company IBM confirmed a collaboration to use Hydrogen Platform $HYDRO api toolkits. Firstly, it is important to note that the collaboration between hydrogen and IBM (ranked number 4 in providing cloud computing service) is a long term relationship. Companies go into such a relationship only when they are sure it’s going to produce mutual benefits, wider customer coverage, and publicity. Records have shown that if things go well, it usually results in long term success story with consequent dominance in any niche. Secondly, IBM has not directly involved itself in the evolving crypto and blockchain technology niche but has in recent times formed an alliance with reputable companies who are parent companies to blockchain projects. That could mean that they may be testing the waters with one foot for now, and it must be with time-proven companies that will not in a single swipe erode the reputation they have managed to build over the years. Such collaboration can also only come with a company that has what it takes to serve the typical IBM customer and that has been able to pass their strict listing qualification criteria. 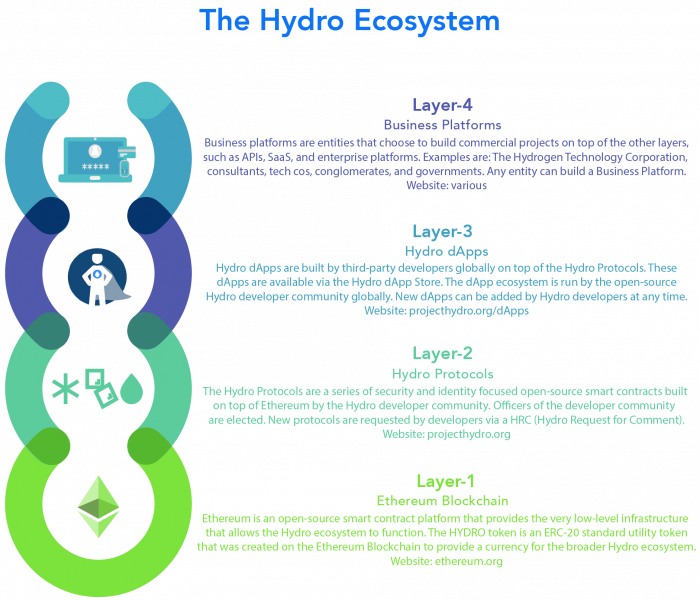 That says a lot about hydrogen, a layer four business building on project HYDRO the layer two in the ecosystem with the associated native Hydro token. 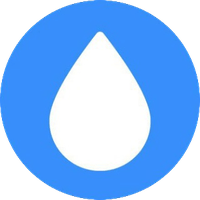 What does HYDRO stand to benefit from the collaboration? 1. IBM cloud Catalog: Referred to as the technology farmers' market place. Once reported to be the go-to place for more than 80% of fortune 500 hundred companies including banks, insurance firms, and airlines for their software and service needs, accounting for more than 20 million end users, has featured Hydrogen out of the over 190 handpicked third-party service providers listed on it, which in turn can be interpreted as a well-deserved platform for better exposure. It’s like having your product on the shelf of a supermarket somewhere down a lonely street with two visitors per day and on the shelf of another supermarket in the heart of a busy business city with at least 1000 visitors daily. It may take a whole year to have a sale in the first store, but there's a higher probability that your product will be picked in the second shelf by folks who want to test something new and before long it becomes the common household product. The increased usage of the Hydrogen APIs featured on the cloud Catalog to solve the software needs of the quality-hungry IBM clients who are looking for the best solution will in turn have direct impact on the price of the token as all the APIs and service offerings of hydrogen (layer4) are built on project HYDRO (layer 2) which requires some tokens being staked or used for every transaction to communication with the smart contract. A further foray into IBM sales shows they generate as much as $19B in annual cloud revenue from their public, private, and hybrid offerings (infrastructure-as-a-service, AI, and big data packages). This goes a long way to say much about the wealth of experience at the disposal of the sales and developer advocacy team at IBM cloud which the team from hydrogen will be working with. It's a great advantage for the growth of hydrogen and its product offerings. Sometimes in the tech niche, it is not only about what you have to offer, but the opportunity to meet your potential customers and present your solution to them. That is the case of the API being deployed on the IBM cloud. This collaboration is going to put hydrogen and the utility token HYDRO in position to share a fraction of IBMs annual cloud revenue generation. The growth opportunity for hydrogen is massive as findings show more cash will flow into fintechs this year. Matrix partners predict the aggregate market value for Fintech startups to exceed $90Billion in 2019. 2. IBM cloud for financial service: This focuses on financial institutions across North America. 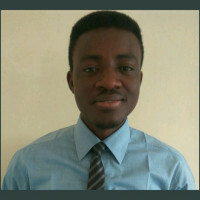 The cloud financial service promises its users which includes banks, asset managers, pensions, hedge funds, endowments and insurance companies quick deployability, cost-effective, scalable and easy-to-use API, giving simplified access to sophisticated risk models using API requests, which makes it very attractive to solution seekers, as all companies are looking to get value for their money and reduced time to go to market. Hydrogen API is also going to be available to these big industry players for use through the financial service platform. One core focus of hydrogens set of solutions is in solving problems that financial service firms face in managing their growing list of clients. A major breakthrough is in using snowflake component for identity management and reduce time to onboard new client, Tide for recurring payments, Ice for document signing. This package is expected to be very attractive to these companies. 3. IBM Cloud business services: This gives IBM cloud business services access to the entire API suite of hydrogen platform as stated on IBM’s website. The cloud business service gives a well-deserved exposure to the novel hybrid solution that hydrogen brings to the market to solve security issues, reduce cost and risk, achieve compliance, accelerate speed to market, create new revenue streams and establish a security-rich and reliable infrastructure that's ready for AI and hybrid cloud. IBM has had very resounding success from its in-house solutions to the use of a collaborative third-party suite to provide long-lasting solutions to her varied customers. For example, in finance. Bendigo and Adelaide Bank deployed a DevOps solution based on IBM UrbanCode software and the IBM Cloud platform to improve development governance, automate development processes and bring new applications and services online more quickly. It resulted in a 98% reduction in the time required to deploy new application environments. Third-party apps or services providers listed on IBM catalog have recorded increased product usage within the first four months of collaboration, this is not expected to be different with hydrogen. Hydrogen is the first Fintech focused company built on blockchain technology to get a deal with a top ten tech company(IBM) managing asset more than the whole crypto market cap. By listing hydrogen in the IBM Cloud catalog, it will definitely increase what Hydro is doing on an enterprise level- probably not something the average person will see or know as IBM is reselling the Hydrogen API suites to their clients. Hydrogen and the native token (Hydro) will gain global exposure to an elite community of cloud developers which will most likely trigger an increase in the token price. The system and solution that hydrogen provides were built around the tokens. More usage of the solution in the cloud financial service environment resulting from the initial exposure will definitely impact price upward.